WHO’S BACK? 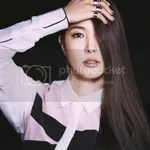 is the eighth Japanese album by South-Korean singer BoA, released on September 3, 2014. The album charted at #7 in Japan and has sold 17,000 copies. Opening the album is the only new track (I know, right? ), First Time. It has a nice bounce to it and I loved BoA’s vocals. I think it fits in well with most of the other songs on the album because of its uptempo feel. It also leads nice into the next track. For the only new song, it’s indeed a good one and the perfect promo track. Shout It Out is just a catchy track that stays in your head all day long. I like the piano accents in the background while the rest of the arrangement is again upbeat. I remembered wishing this would appear on an album, that’s how good I thought it was when it was released as a single. One of BoA’s best dance inspired singles to date. So this was actually the 3rd single in this era even though it was released in Japan after a major break.. Anyway, Only One is one of my favorite BoA songs mostly because it’s just so her. It’s midtempo pop/R&B with some synths in the background and a piano playing a lovely little melody (something that has been my alarm clock melody on my phone for months). This could have been a bland song, but BoA’s vocals are too magical and she really spiced it up. FUN was the B-side for MASAYUME CHASING and it’s definitely not as good as said song, but also not as good as most of the other songs on the album. It’s a funky summer song that served as a nice addition to the single, but that’s where it should’ve stayed if you ask me. It’s not a bad song, but not quite album material. Kumbaya! Message is such a huge step away from her usual sound with its acoustic guitar, handclaps and drums. Still, I really like it since it brings a lighter tone to this point of the album and her vocals are top notch. It’s all about positivity, a real feel-good song and short but effective. I have to admit I haven’t had the chance to review WOO WEEKEND yet and that also means I haven’t heard this song in like forever so excuse the lack of recognition here. So this takes us back to 2010 (darn..) and that’s probably what’s wrong with this song. I mean, I love the whole 80s vibe with the synths and bass, it’s really good! It just doesn’t fit in with the rest of the songs on the album, don’t you think? I SEE ME was the B-side for Milestone and already an old song then, but oh well. It’s probably more ‘Hurricane Venus’ material due to the slightly jazzy groove to it, but it’s lovely anyway. It’s another ballad so no big culture shock after the last lovely song, but let’s face it: it doesn’t matter how good I SEE ME is, it will never be as good as Milestone. Probably one of my favorite songs on the entire album, even though it has a strange kind of personal meaning to me now. MASAYUME CHASING is the catchiest and most lively song she has released in a long time, it’s very breezy and strong at the same time. I even loved that little rap part further along in the song. Repeat please. I like the attitude in The Shadow, one of BoA’s self-covers and the B-side to Only One. It might come off a little mechanical at times, but it’s well produced and packs a punch. Not too aggressive, just good enough to notice it and enjoy it, but not the best song on the album. Call my name was a bit lacking when it was released as the B-side for Message and now after 11 other songs it just can’t hold my attention all that long. It’s not bad or anything, it’s actually quite nice but tomorrow I will have forgotten all about it. Baby you.. was the B-side for Tail of Hope, more about that one next, and what I like about this song is that it’s actually quite sweet and mellow. BoA knows how to release R&B midtempo songs, and although it might have lost some of its shine next to songs like MASAYUME CHASING and close to me on this album, I will stand by my original remarks. Closing the album after what feels like a zillion songs, there is Tail of Hope, another favorite of mine that now feels like a sister song of MASAYUME (or actually vice versa but well..). BoA’s 2013 summer song is catchy, funky and sometimes even ethereal and it feels perfect to have it as the album closer. BoA gives ’em hell one more time with her amazing performance, standing o’ for this one. WHO’S BACK? was already an interesting title for an album (not much inspiration to it if you ask me), but the content is also quite interesting to say the least. Come on, only one new song to promote the album and the rest is more like a best album of her latest Japanese A-sides and B-sides. Is that a bad thing? Not particularly no, most of the A-sides were bomb, especially her latest couple of singles slayed everything. Some of the B-sides that I wouldn’t really have liked to see here were there as well and that was a bit of a bummer. They weren’t bad songs, but not so special to be put on an album. Still, looking at the overall picture and the way this album sounds without looking at the details, it’s a very good album. Just give us something with more production value next time, girl. I’ll be gentle now. Very gentle. I know I’m nice. Thanks for the review, Jade. Even though you only got one new song “First Time”, atleast it was a good one…I got hooked on it! This album seems like THE FACE part.2 which isn’t bad per say, but I wanted a more “risky” sound à la IDENTITY. But oh well… Still a very good album if you ignore the fact that all the songs were old except for one! I really don’t know much from “The Face” (I don’t think Jade ever reviewed it either) other than “Beautiful Flowers” and “Girl in the Mirror” is it any good? And wasn’t “IDENTITY” like one of her worst albums? It’s a matter of taste. I personally enjoyed IDENTITY very much, it had a raw feel to it. And I liked that a lot. You should listen to THE FACE, it had some very good songs on it.